Across the world, infrastructure development has always boosted real estate growth. This is especially apparent in Bengaluru, where the new international airport transformed the locality of Devanahalli. Once, a sleepy town in the outskirts of the city, today, Devanahalli is the new hub of property development in Bangalore. For easy accessibility, airports are usually well connected to all parts of the city through a network on well-developed roads, flyovers, expressways and highways. In Bengaluru, the Hebbal – Devanahalli expressway, the Outer Ring road offer seamless connectivity across Bengaluru. There are also plans for Metro connectivity in the future expansion plans. Proximity to a major infrastructure project pushes up the realty development in its vicinity, and if that infrastructure project is as significant as the international airport, then the region is bound to emerge as a commercial destination. Devanahalli is fast developeing as a commercial hub with many industrial parks such as the KIADB’s Hardware Park, Aerospace Park, and the Information Technology Investment Region planned here. This translates into high levels of employment opportunity in the present. Along with commercial growth, the area of the suburb also witnesses the growth of many new retail outlets, schools, entertainment zones, restaurants – social infrastructural elements that come together to off a good quality of life. Over the past few years, airports have developed as an urban phenomenon that attracts commercial growth, retail outlets and infrastructure initiatives, thus transforming into high growth zones. For property buyers who have invested in homes in Bangalore, near the airport turn into a high demand property that promises good returns in the future as well as good rental returns in the present. The new International airport in Bengaluru is located in Devanahalli which is characterized by a mix of vibrant metropolis and open spaces, and this has made it one of the most sought after addresses for living and working. 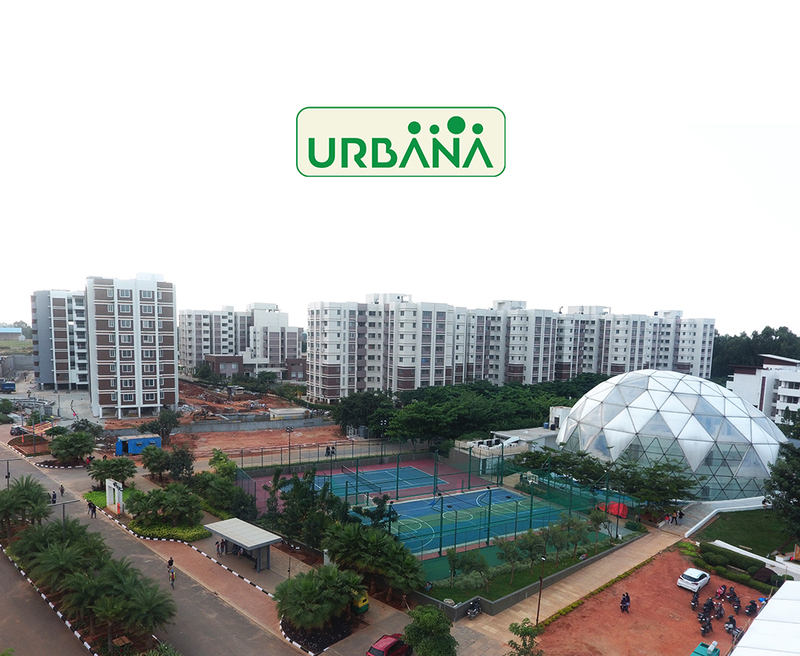 Whether it’s a plot or a small stylish apartment or a large, luxurious 4 bhk apartment or a home for senior living, It is all here at – Ozone Urbana. Located barely 5 kms from the International Airport in Devanahalli, Ozone Urbana has been masterplanned for total integrated living offering apartments in Devanahalli. Spread over 150 acres, this picturesque township is located right next to the international airport on NH – 7 and offers a fabulous living environment. Complete with social infrastructure such as a National Public School, hospital, hotel, offices, restaurants, retail village and homes for the senior living community, Ozone Urbana is undeniably Bangalore’s largest and best integrated township in North Bangalore.